Using fresh and organic ingredients, Tierra del Sol introduces us to the rich history of traditional cuisine from Oaxaca, Mexico. From their enchiladas and aguas frescas, to their tlayudas and tetelas, these handmade dishes will make you feel at home instantly. 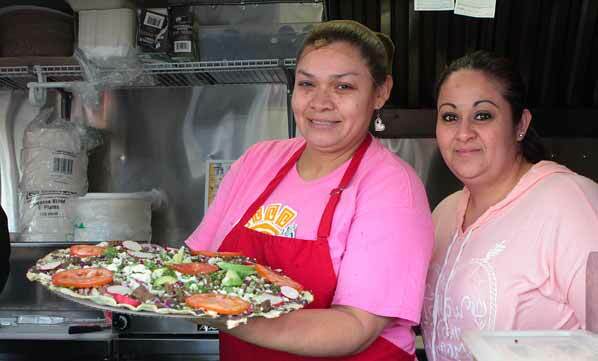 Tierra del sol has been growing their small business in Micro Mercantes Incubator since 2012, selling their products at farmer's markets and through catering. 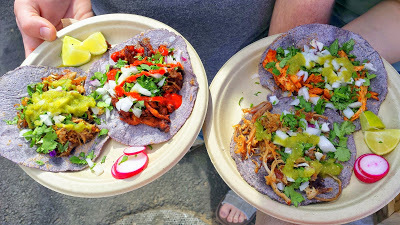 Having a food cart at the Portland Mercado will be their first permanent location. Meet Amalia owner of Tierra del Sol cuisine. Amalia worked as a social worker advocating for migrant agricultural workers for the oregon child development coalition from 2002 to 2009. She then decided to focus on her business and raising their 3 children, who often help with cooking, sales and marketing. Amalia traces her recipes back generations to her parents and grandparents -- recipes that she hopes will ring their family version of el sabor oaxaqueño throughout Portland.